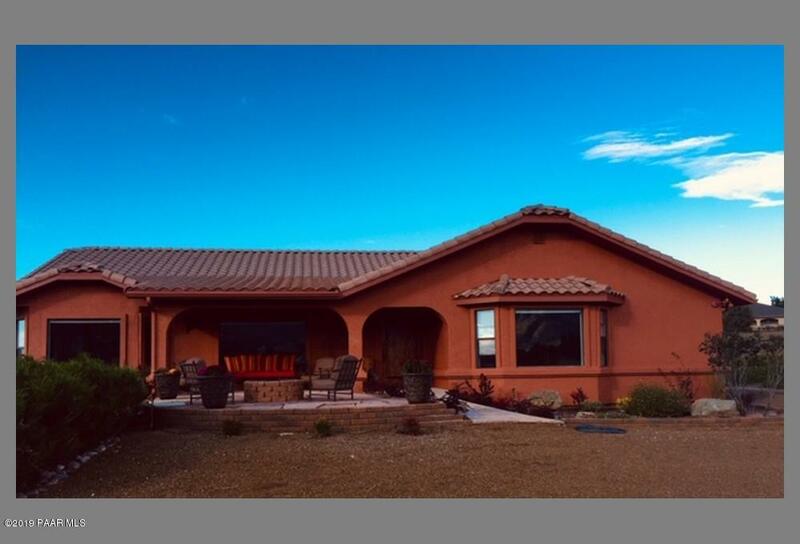 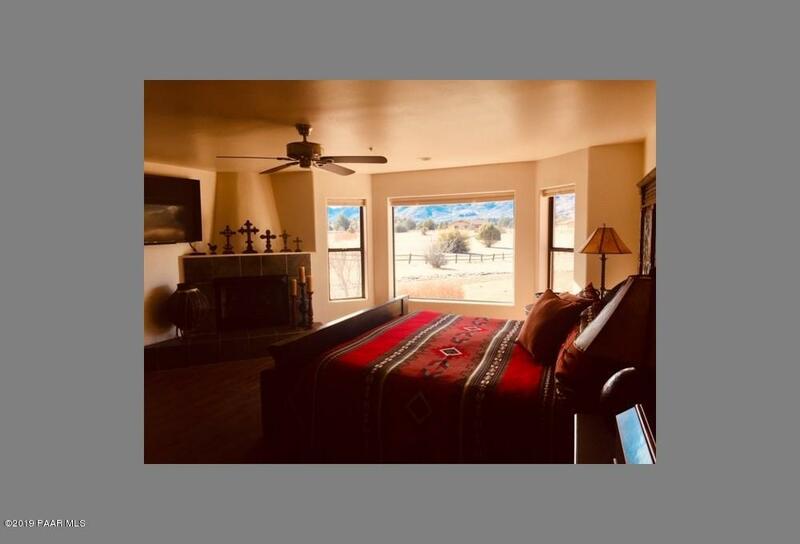 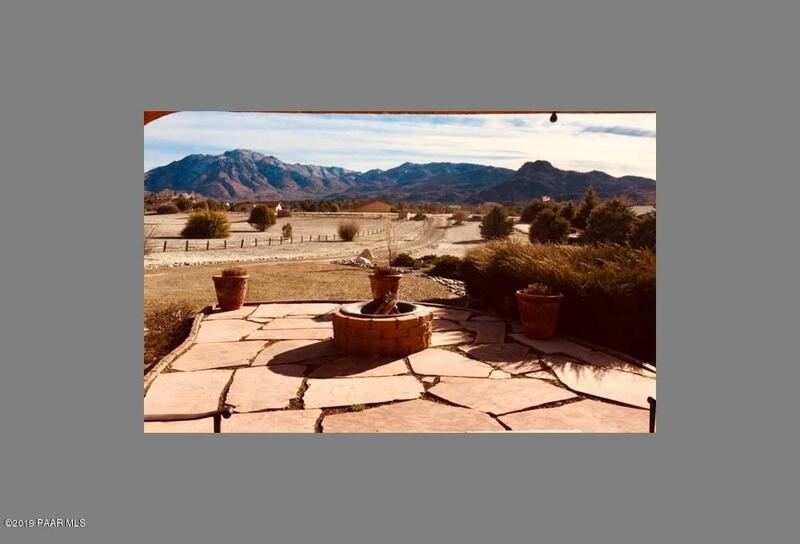 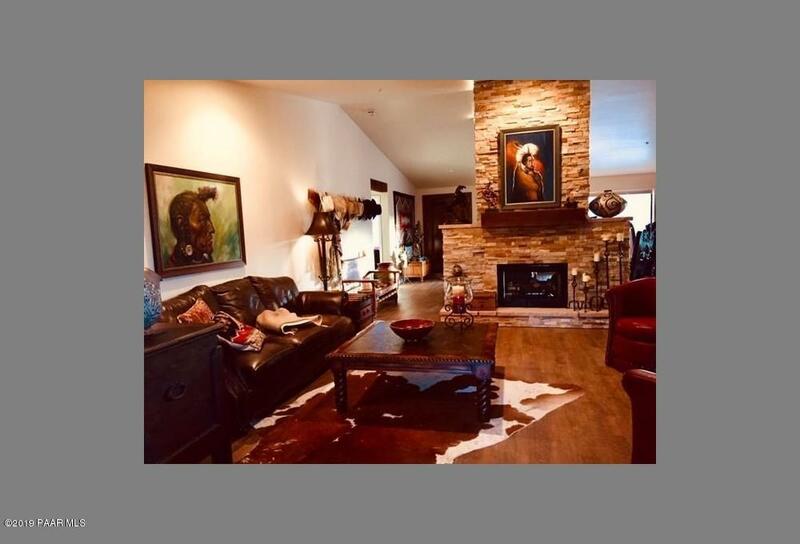 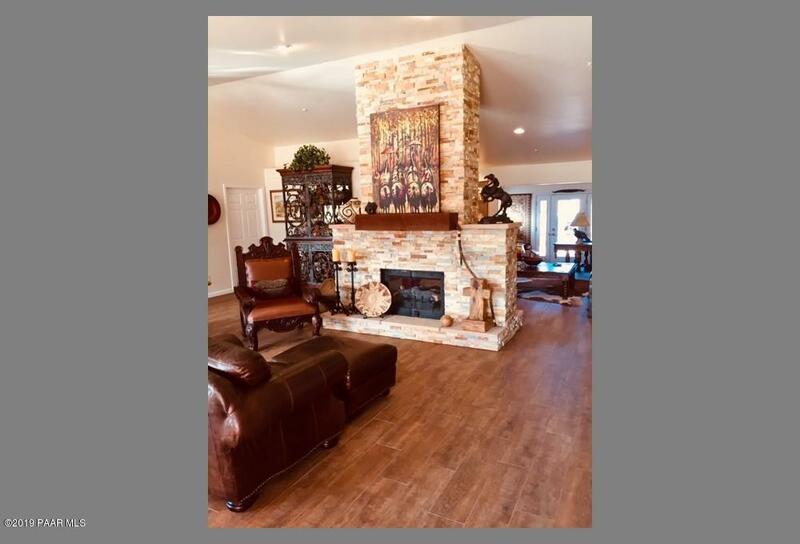 Remodeled Ranch Stucco Home with 3 car garage on 2.4 acres, with tile roof, 3 patio areas with views, 2 bedrooms with en suites, open floor plan with living room, den, dining room and office. 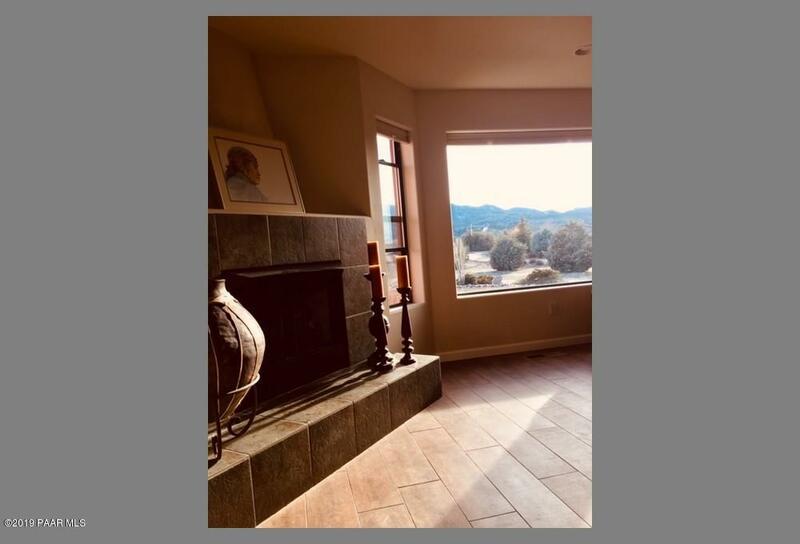 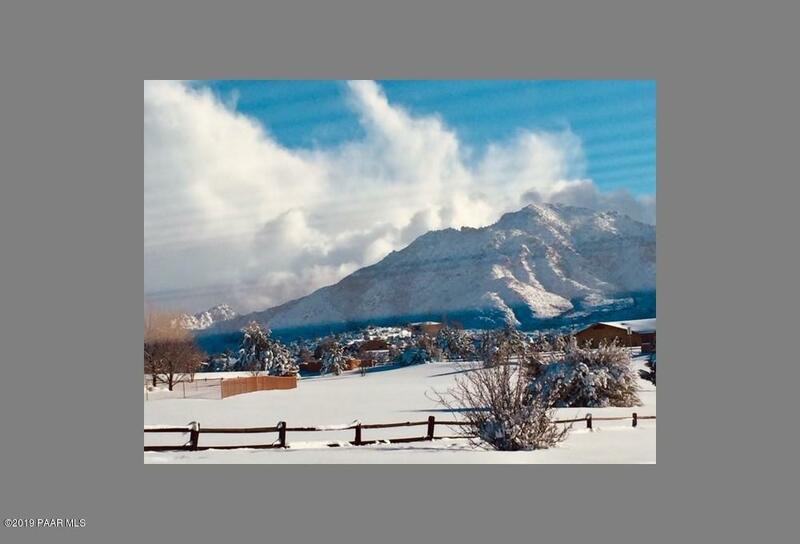 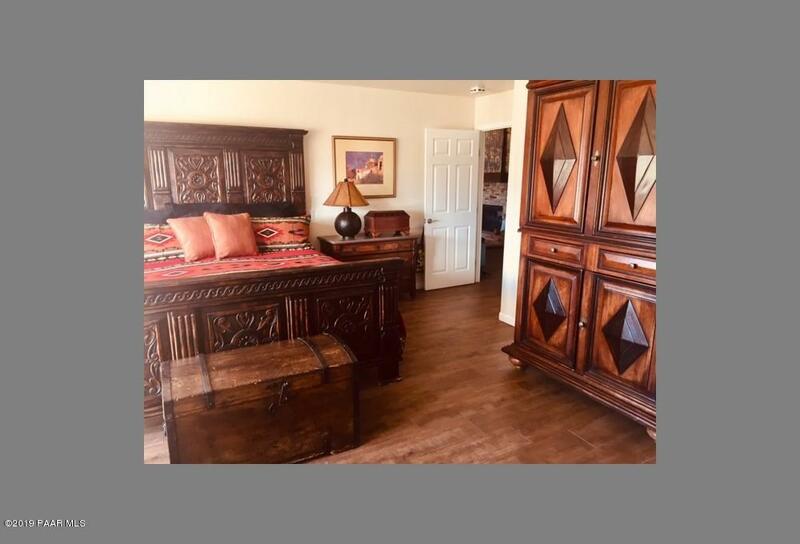 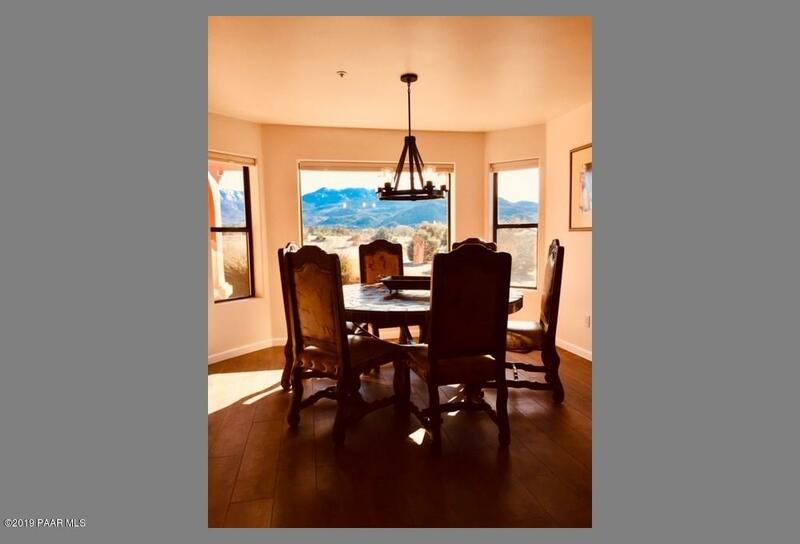 Fireplaces, remodeled with ledge stone (master, living room, den), new appliances in 2016, granite and tile throughout, updated kitchen, new lighting, fans, window treatments, new front door and windows, all new sinks and faucets. 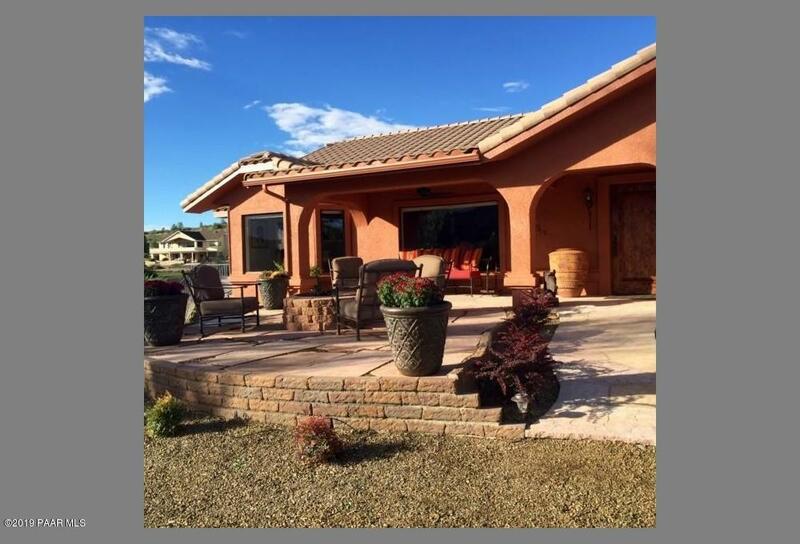 New landscaping and drip system including peach, apple trees and assorted pines. 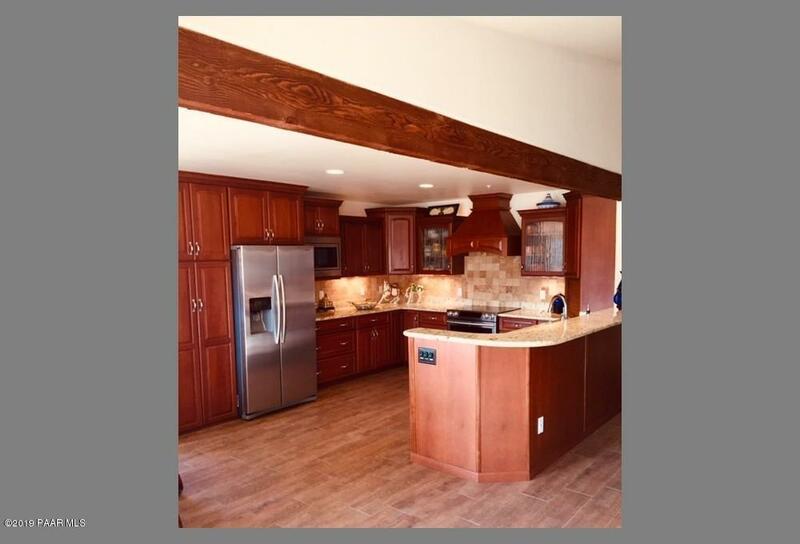 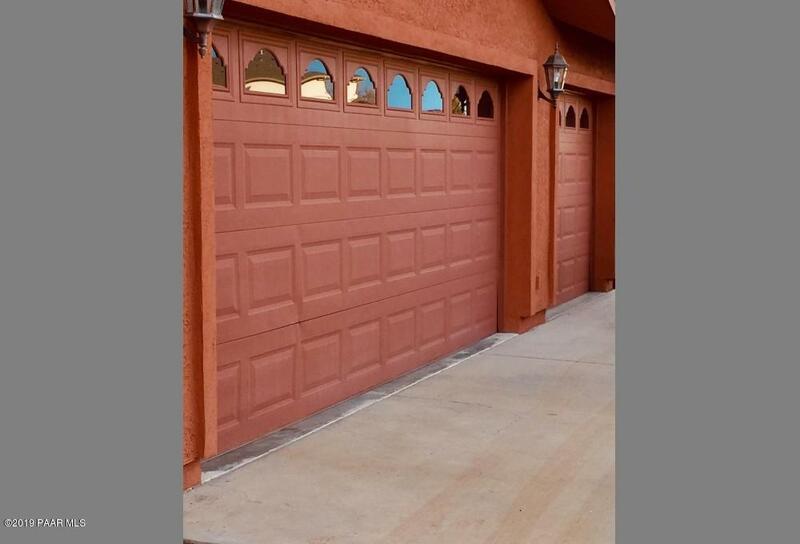 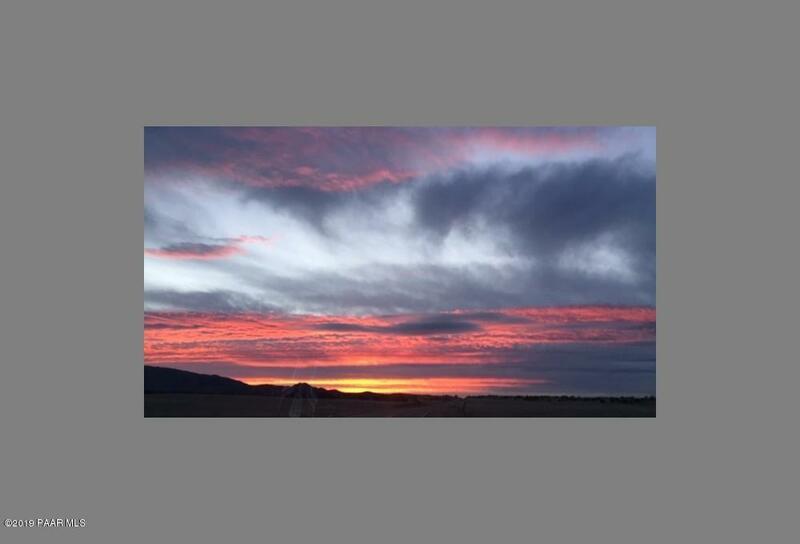 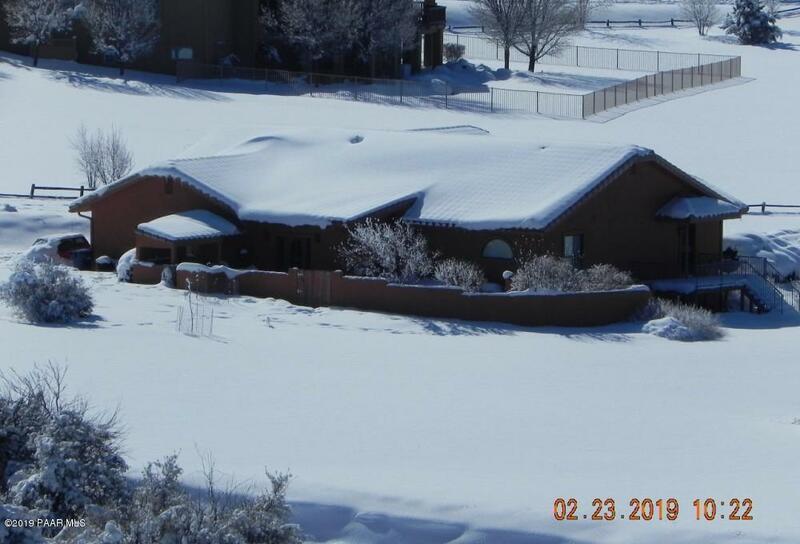 A great home or get away home in upscale mountain ranch community, 12 miles from historical downtown Prescott. 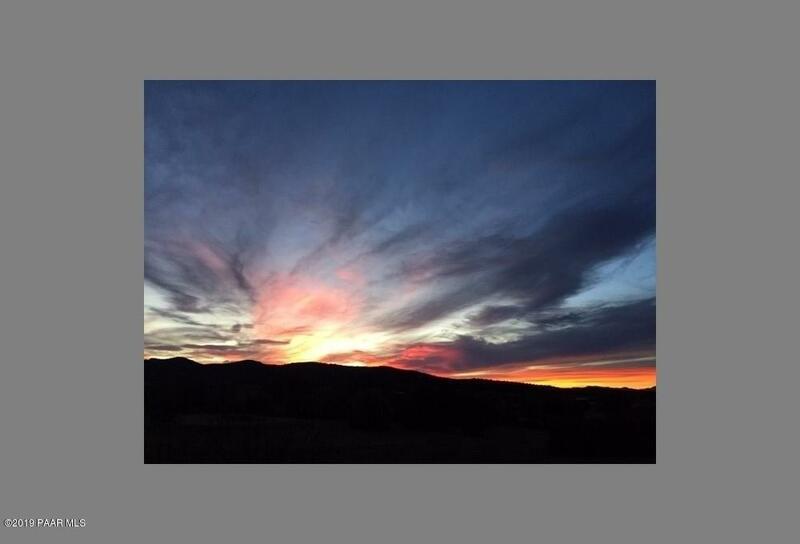 Great hiking, horseback riding, restaurants and night life.